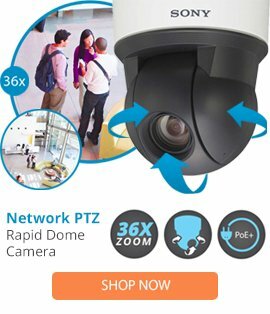 At Surveillance-video, we sell a wide array of top-rated security system components, but many of them aren't much use if you can't connect them to each other. Our equipment always comes with everything you need to install it, of course, but if you're trying to adapt your old equipment to new uses, you might find that not everything quite fits perfectly together. If this is the case for you, we can help. We carry a wide selection of audio/video cable connectors to help you hook everything together and keep your property safe, including Cat5e connectors and RCA connectors. We also offer super-fast shipping, so you won't have to wait long to get your components up and running once you place your order. Our audio/video cable connectors are suitable for both residential and commercial use, making their purchase a practical choice for homeowners and businesses that want to prevent robbery, burglary, and theft. Multiple body styles and connector types guarantee seamless integration within existing systems. In many cases, we can provide product information sheets, ensuring that you can choose a perfectly compatible product, but if you're at all unsure about what you need, give us a call and we'll help you out. As part of our commitment to you, we also provide lifetime support on all of our products; this helps your security system remain functional as long as our devices and accessories are powering it. The security camera cable connectors that we have for sale are top-rated accessories that are designed to seamless integrate with your surveillance system. Their state-of-the-art interior technology gives them the ability to deliver impressive signal quality with little distortion. Some products offer colored connectors that allow for simple installation and optional rear threading so that wall-in connections can rest securely. Our modules and adapters can protect the integrity of the information transmitted between your system's components and a computer. At Surveillance-video, we sell the latest in security camera cable connectors, whether they're pigtails or wire connectors. Commercial and residential security systems are only as reliable as the connectors that facilitate their operation. When it comes to investing in your system, consider looking beyond just the quality of your security camera. Cable connectors that have been vetted for optimal functionality are essential to the smooth operation of security system setups. Our affordable adapters and cables, coupled with lifetime technical support, can ensure that you're never without the small components necessary for comprehensive security protocols. Place your online order today and enjoy our low prices and fast shipping!